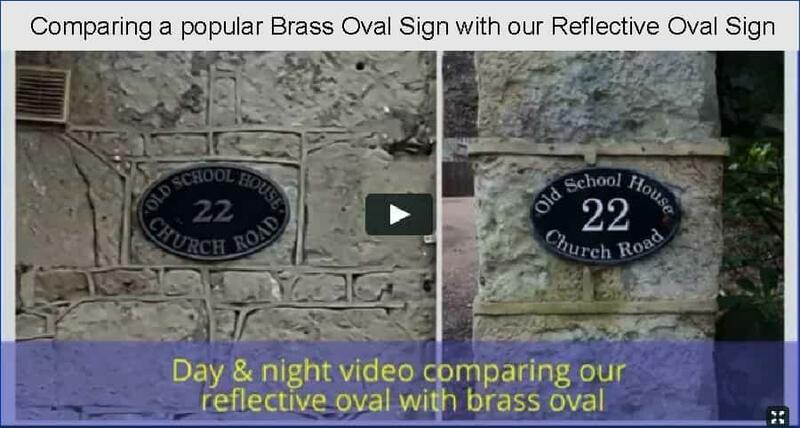 Large plaque suitable for house names or numbers with address lines. 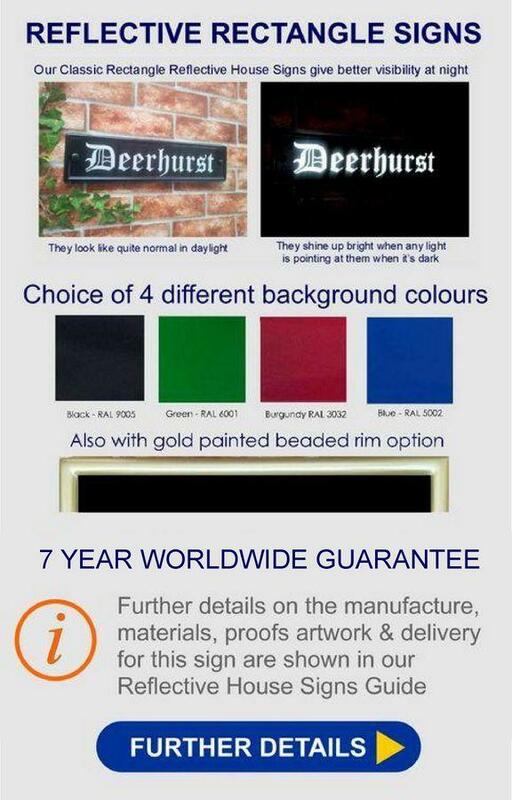 Night reflective and personalized with a choice of four colours and 21 fonts. Directional arrow option available if required. Just wanted to say thank you very much for the house sign, it looks fantastic, sorry it has taken me a while to get back to you. Thank you once again. 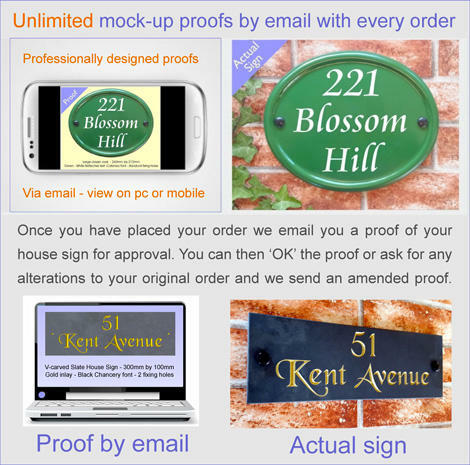 Hi guys, got both signs and really pleased with the service and product...have taken the time to write a 5 star, very positive review on your product page as so pleased. many thanks from me and my wife. Thank you. Sign received, and we are very pleased with it. Many thanks.